The safest, most secure methodology for sensitive end-of-life IT asset disposal is in-house, on-site drive destruction. Mobile providers introduce too many external factors, increasing risk and liability. Fortunately, cost-effective solutions exist that readily meet the strictest regulatory, health, safety, and environmental requirements, as well as accommodate today’s more rugged enterprise drives and ever-increasing drive volume. 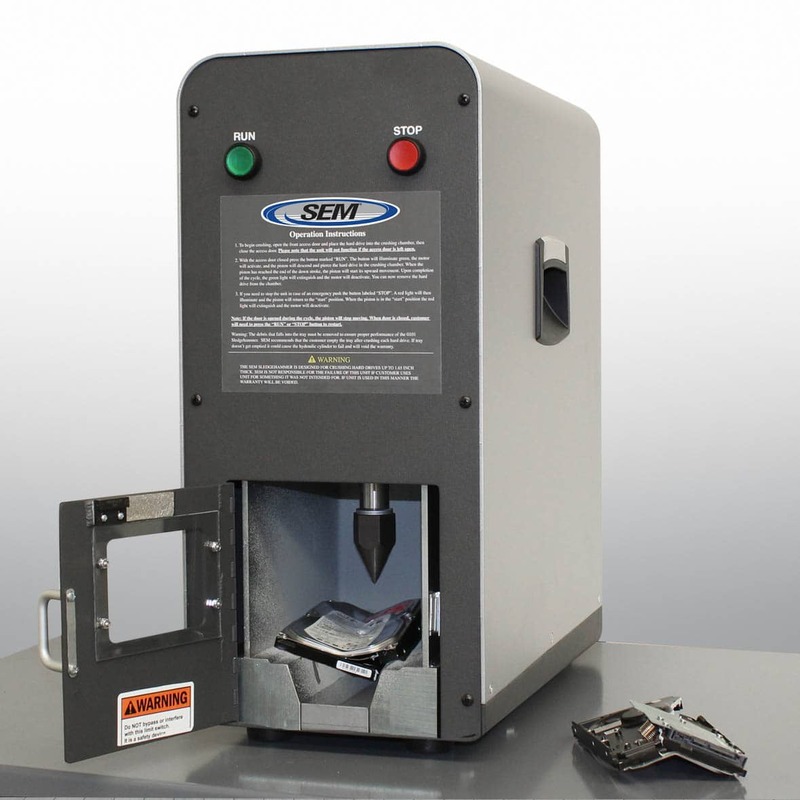 For over 50 years, SEM has been the driving force behind document and data destruction innovations that are now considered industry best practices. From the world’s first disintegrator to the industry’s most successful line of electronic media crushers and shredders — and the only touchscreen, dual-voltage, NSA Listed degausser —SEM enjoys a reputation for innovation earned from a firm commitment to engineering, design, and product manufacturing.